Snacks: probably the main reason for everyone everywhere giving up on their healthy diets – just what are you supposed to snack on?! 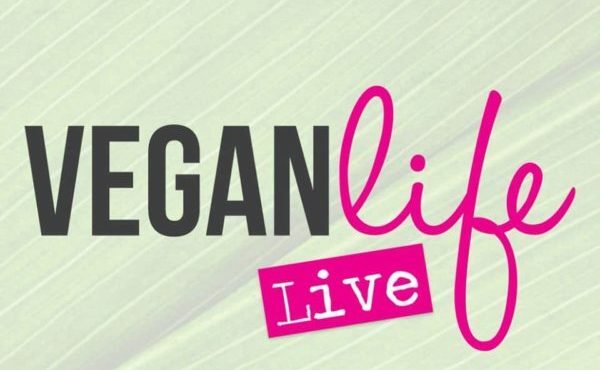 I’m on a mission to cut out as much refined sugar from my diet as I can and have come up with a selection of healthy snacks which in some cases are also good for those on a range of diets, including gluten free, dairy free and vegan diets. Does what it says on the tin. Literally spread yourself some nut butter onto a rice or corn cake. 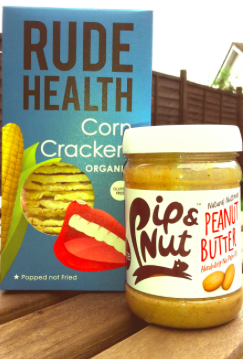 At the moment I’m snacking on corn crackers from Rude Health (which are gluten free) and Pip & Nut peanut butter. I really like this one as the only ingredients are peanuts (obviously) and a bit of salt. It’s fairly inexpensive, too. Zero effort involved so excellent for work- at the moment I really like the Kallo snack bags of small rice and corn cakes. I get the salt and vinegar ones and find they’re much less salty and vinegary than the Snack-a-Jack ones, which is just as well as those ones make your tongue hurt. Who’d have thought you could enjoy sweet treats like flapjacks on a healthy diet? Thankfully some hero at Doves Farm has come up with some tasty and healthy-ish treats…my only issue with these is that they contain a little agave nectar which is probably not that much better than sugar, but they’re good as an occasional treat. My favourite are the apricot flapjacks but I’ll happily settle for the banana and hemp seed ones. These are organic and are free from peanut, egg and soya. bar hype, I’ve really gone off cold-pressed bars. I think I overdid it on the Cherry Bakewell Nakd bar and now there’s no going back (sorry, Nakd). 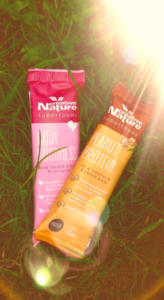 However, Creative Nature’s Peanut Protein bars are amazing (and not so shiny looking) and have a bit more texture to them. It contains pea protein for all those on a vegan/vegetarian diet after a little extra protein. 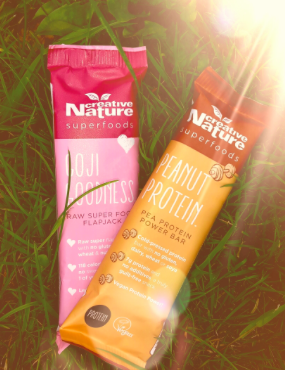 Both bars pictured here (Goji Goodness Flapjack and Peanut Protein) are labelled vegan and are gluten, dairy and wheat free. 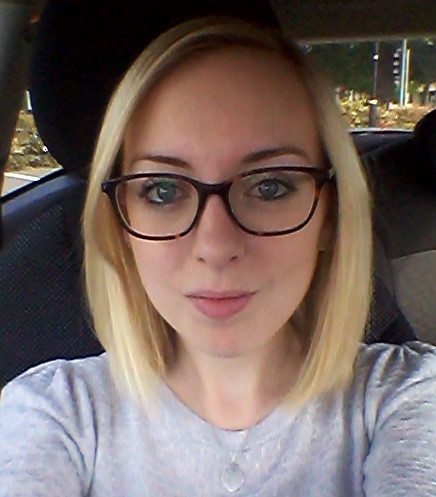 I’m Steph, the so-called ‘Small Girl’ of my blog, Diary of a Small Girl (https://diaryofasmallgirlblog.wordpress.com/). At 24, my aim is to balance my normal life with trying to work out how to enjoy healthy food and how to, well, ‘life’. My healthy eating journey has been inspired by my partner, who has dealt with a range of food allergies through changes to his diet. Whilst my own changes haven’t been as extreme, my blog is basically what the title suggests: I’m just sharing my thoughts and ideas about how the average person can make small changes to enjoy healthy food (whilst having the odd off-day) and take some responsibility for their health…and also I’m really short. Hope you love my blog piece.